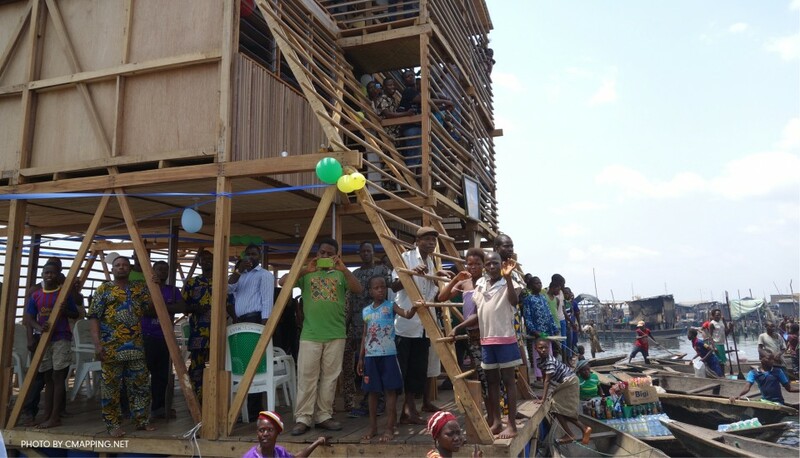 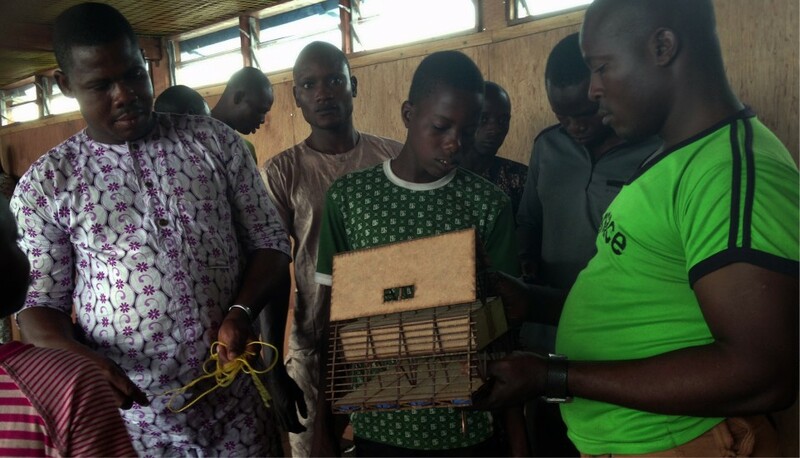 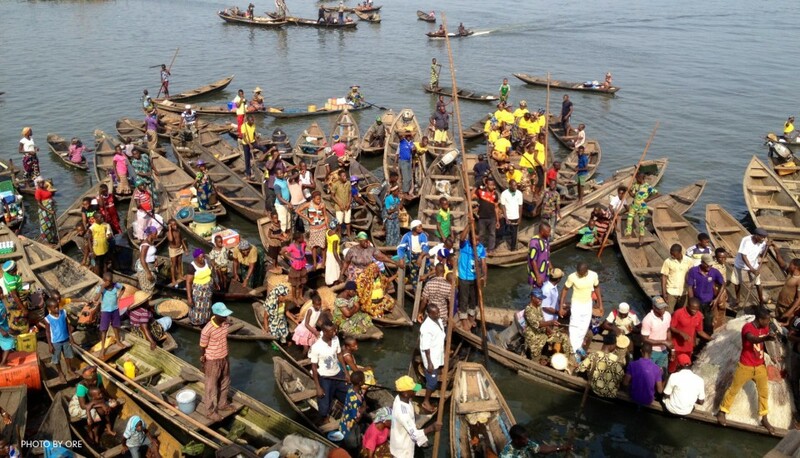 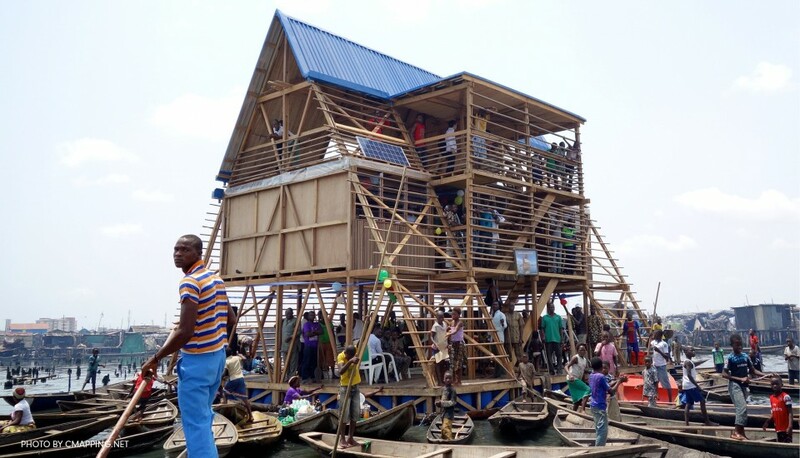 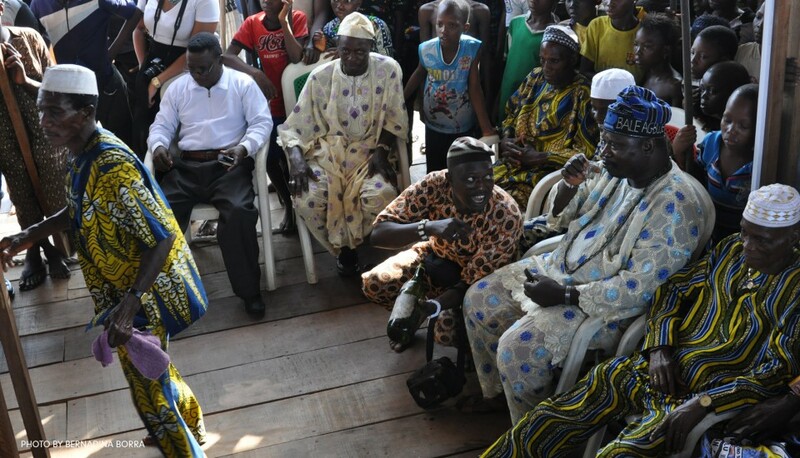 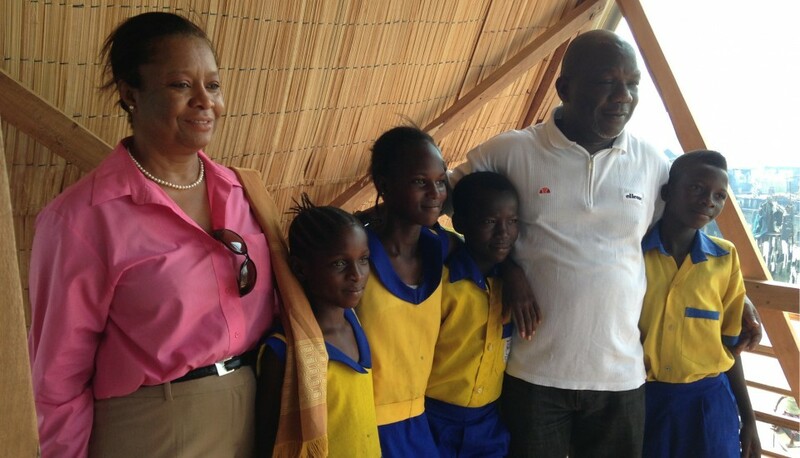 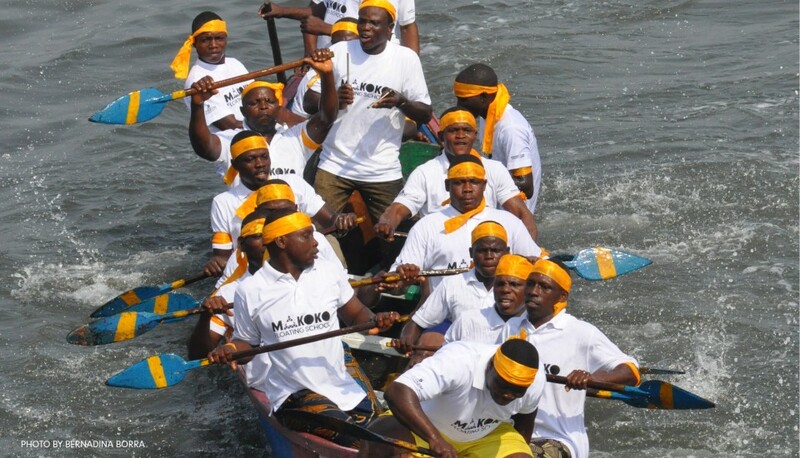 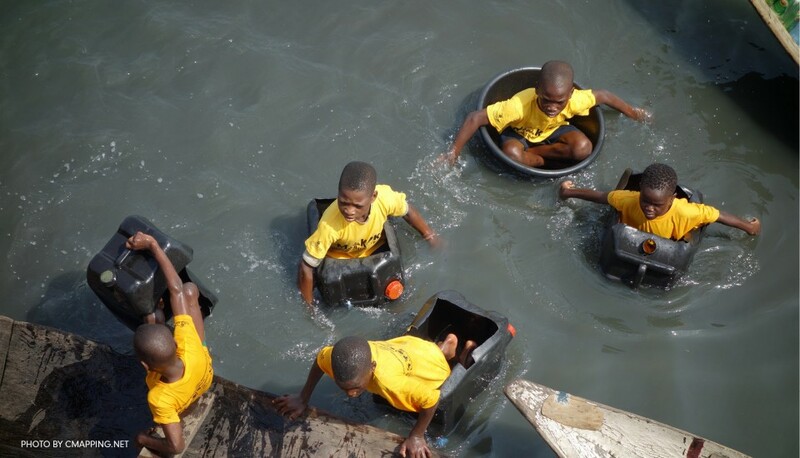 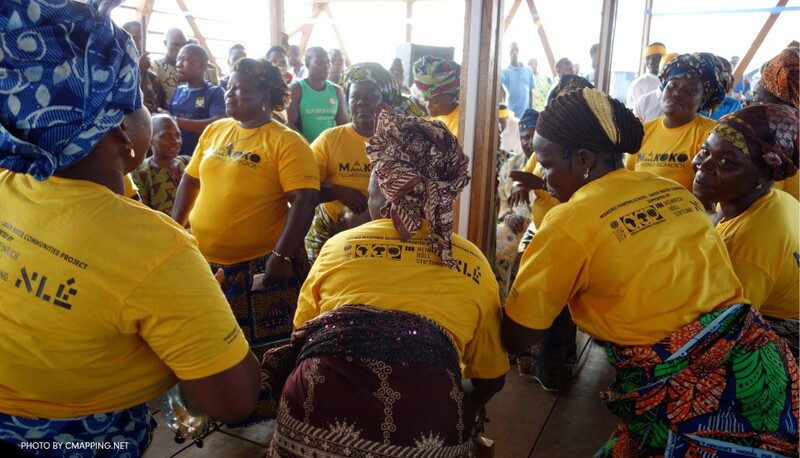 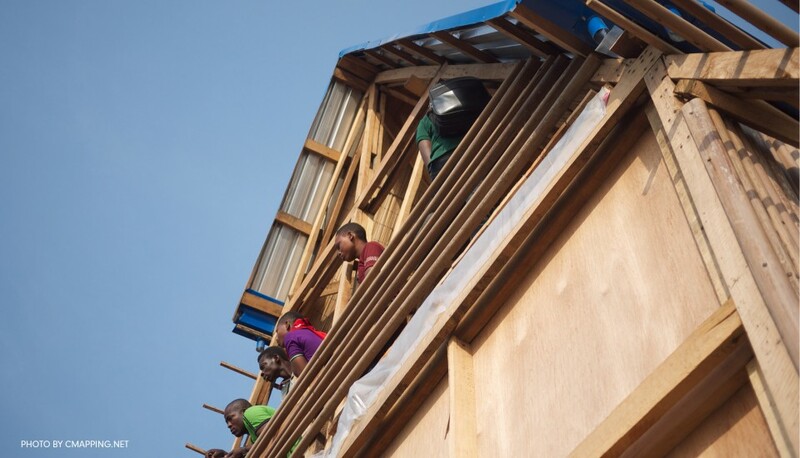 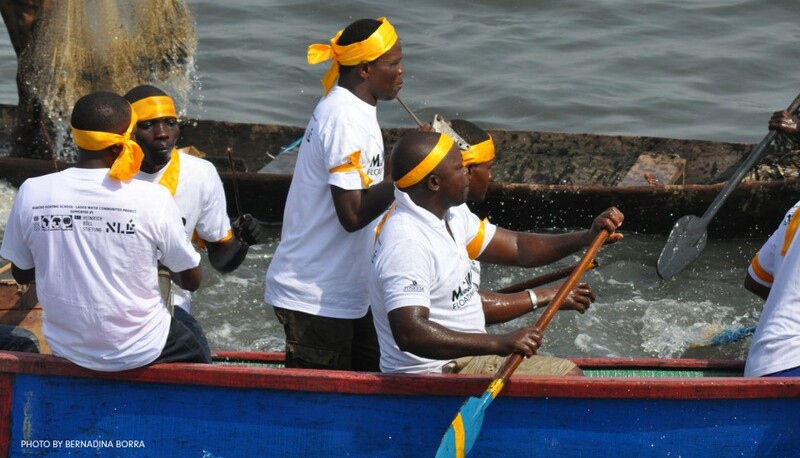 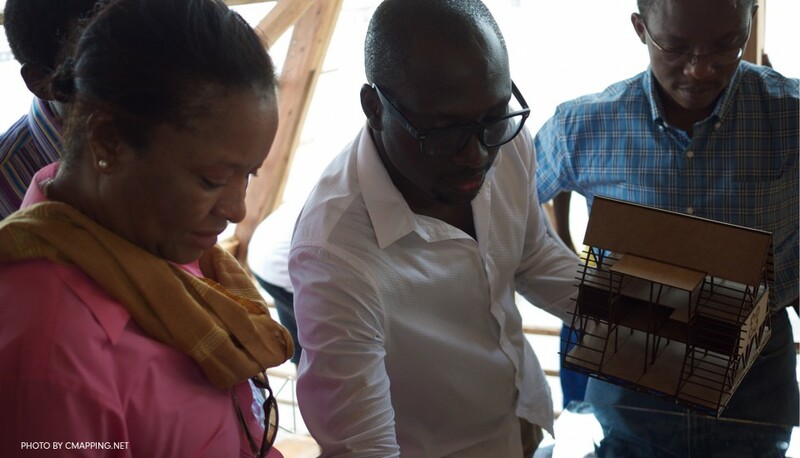 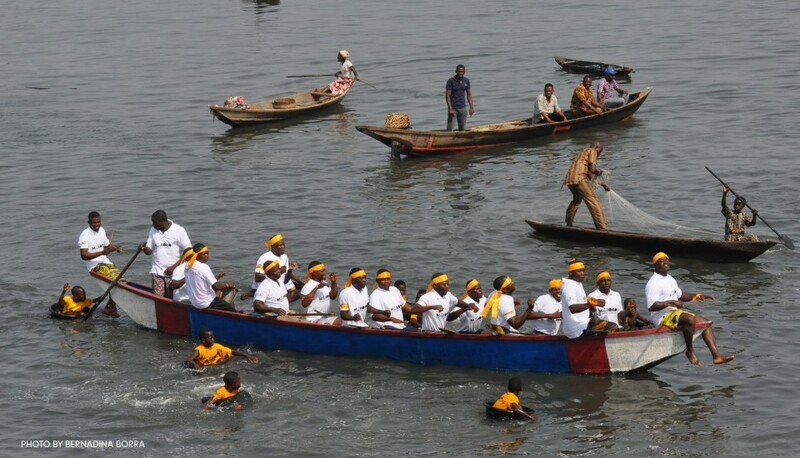 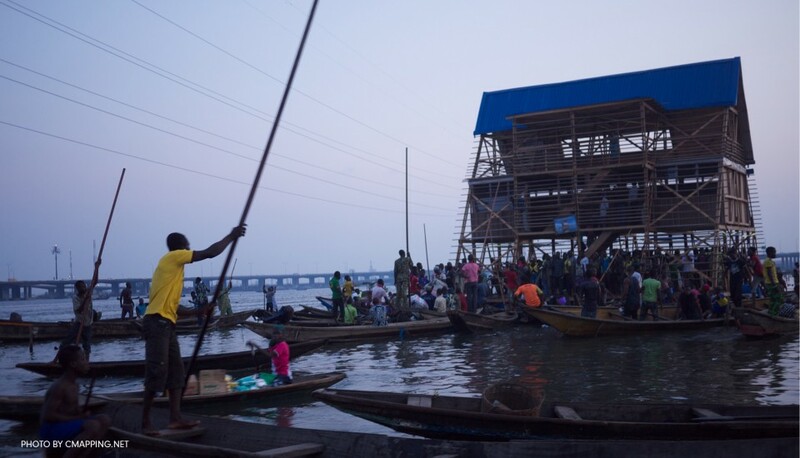 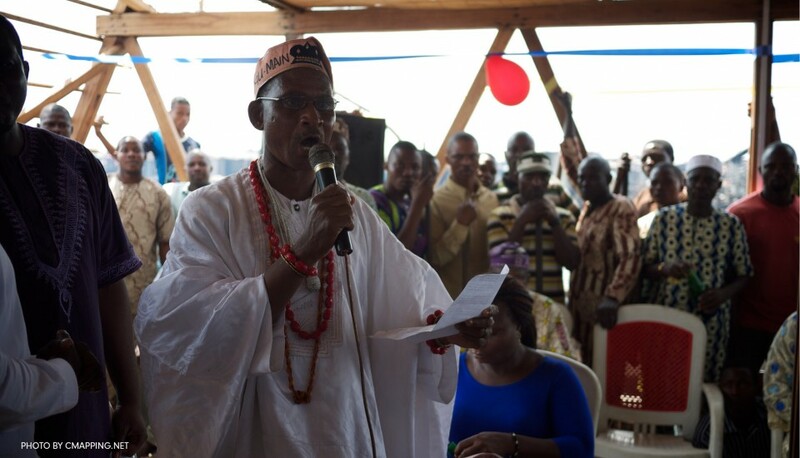 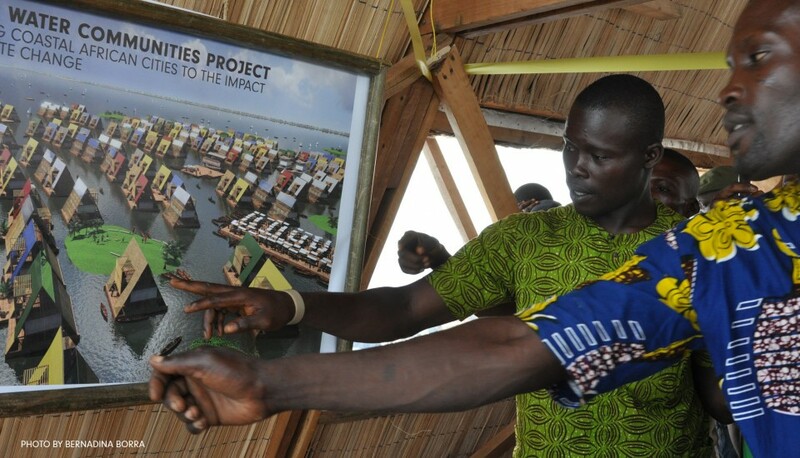 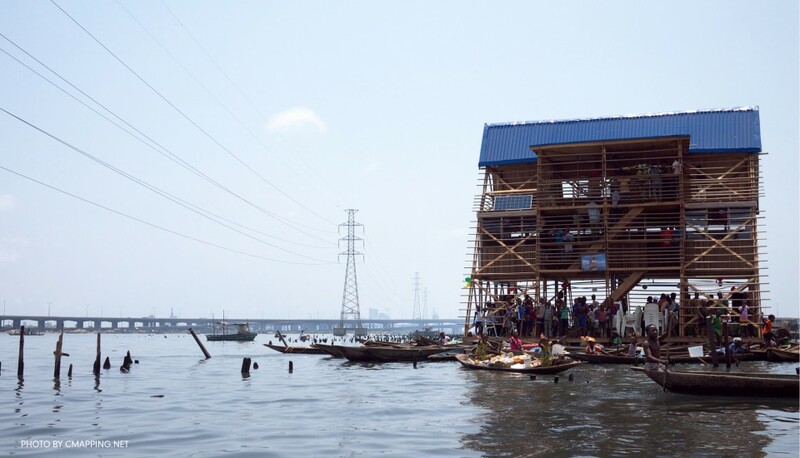 Nearing the completion of Makoko Floating School, NLÉ and Makoko community marked this moment with a public preview and cultural celebration on March 2nd, 2013. 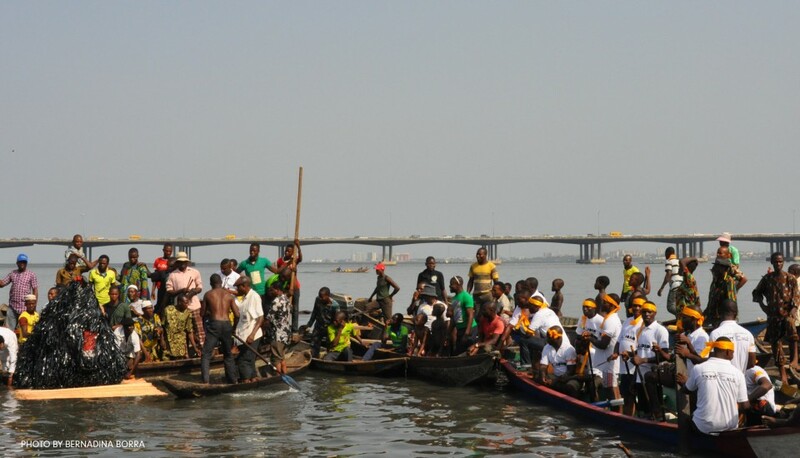 The event was attended by Mrs. Ade Mamonyane Lekoetje, the Country Director of the United Nations Development Program (UNDP), as well as representatives of Lagos State Government, UNHabitat, SCCU, LMDGP, the Heinrich Böll Foundation, Makoko community, leaders, press, friends, NLÉ staff, international collaborators and a wide range of supporters from Nigeria and beyond. 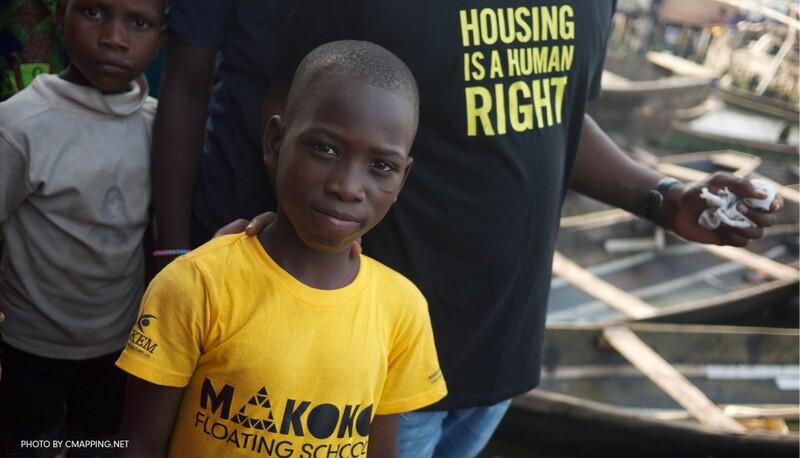 With over 200 people on board the Floating School, the ‘boat’ remained steady while the event rocked – keynote speeches, drinks, food, music, dancing and exciting cultural performances marked this memorable day!